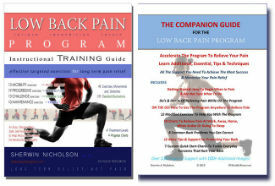 Home/Exercises for Pain Relief/Weak Abdominals Causing You Back Pain? Weak Abdominals Causing You Back Pain? Why? Because it’s easier than sit-ups or crunches (which no one likes to do). Weak abdominal muscles contribute to back pain because they lead to excessive anterior pelvic tilt. They are easily prone to both atrophy, fatigue and over lengthening (especially for those of us with extended waistlines). This makes your pelvis tilt forward, causing pain for your discs and facet joints. Sit-ups are no longer considered advisable since they can tighten the psoas muscle. This only makes your back hurt even more when you stand because of the added tension created. The Standing Abdominal is a great exercise for you to do. It retrains you to proactively preserve a safe posture (reduces lumbar disc injury). 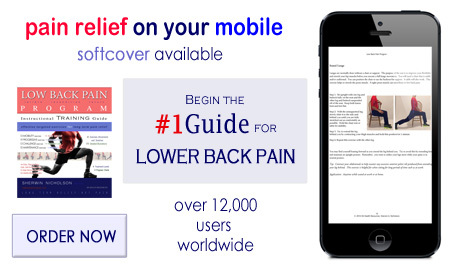 It maintains both neutral lumbar and pelvic tilt posture (reduces spinal imbalance). It strengthens and stretches the hips (improves your hip mobility and pelvic tilt). It activates and strengthens your abs (improves your lumbar support). What is so great about this contraction is that you can do it anytime you are standing and no one would even notice. It’s usually from standing for such a long time that your pelvis will start to tilt and hurt you. This makes it the ideal time to contract your stomach. It is very difficult at first to contract because your abs may have very little strength. Plus, most of us aren’t well coordinated enough so we tire out when trying it. Only persistent practice will improve this even if it may seem like little is happening. There are many more effective abdominal exercises (and variants of it) taught in the program. They work together to target and condition your abs from different angles and positions. Step 1: Stand upright, feet together. Contract the gluteus muscles. Stay patient and focus on contracting both your abs and glutes to have pain relief. Step 2: Contract the abdominal muscles to tilt your belly button up towards you while drawing your belly button in toward your spine. Step 3: Hold for 5-10 seconds. Note: Focus on the abdominal contraction and the posterior tilt and hold. Avoid leaning forward. 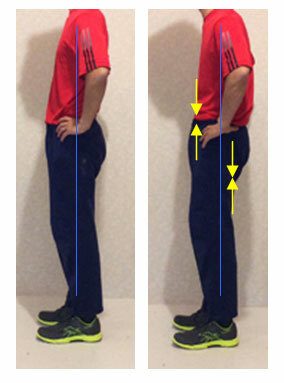 Tip: You can place your hands on your hips to help rock them upward in a posterior pelvic tilt. Try to increase the amount of time that you hold this exercise to improve your endurance and to help release the tightness in your quadriceps. Note: Be patient with this contraction. It is not easy to tell at first whether or not it is working. This is because your abs and glutes are still too weak. Weak muscles don’t respond well at first and need time to improve. With each day that you practice the move, you will build more strength and flexibility. Before long, you will feel greater relief as your muscles develop to re balance the excessive tilt that is hurting you. This should be done daily and when you experience discomfort when standing. I know you don’t want to hear this but if you are on this site for your back, it’s not just working on your weak abs that will be the magic bullet. 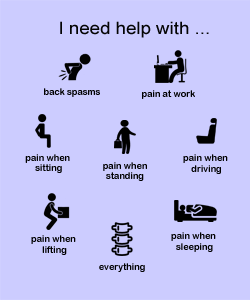 If that was the case, all of the sites and books for pain would be on sit-ups (which are pretty much useless). Fixing your problem means fixing your abs, hips, glutes, hamstrings etc. Yes, this is quite overwhelming but it’s honest. If you are ready to take on all of these areas, please go to the Program. It’s very easy and straight forward to do. I am here for support by email if you need me. – Sherwin. Not sure about the book? Get support here.